" PAKYARAN" program was designed to familiarize students practically with the process of recycling by participating in on-site training courses. 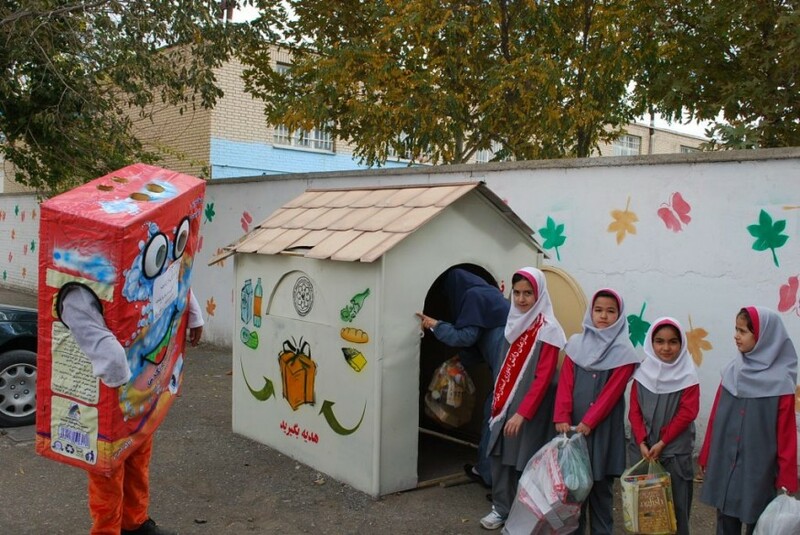 The School Waste Collector Helpers " PAKYARAN" plan aimed at introducing students to the practical and theoretical waste management procedures in 301 educational units, which in fact includes more than 500 schools, which is about one-third of all schools in the seven districts and the Tabadkan district of Mashhad, (Currently, this plan includes 246 schools, of which 151 centers are double shift). In accordance with the general education system and in order to improve the environmental and health knowledge of students, this plan is implemented with the aim of strengthening the lifestyle, skills, and practices of the students to improve the individual and social life in the schools of Mashhad. In this plan, the target community is considered at school age ranges, in order to institutionalize the topics discussed and the behavior of the community being trained changed in favor of the environmental issues. Based on this plan, with the help of the WMO experts in schools, students are trained on waste, recycling, and the environment, and in various ways, including visiting the organization's activities in forms of student tours, making handicrafts with disposable materials, drawing competitions... students become familiar with environmental concepts. The students also are advised to separate dry wastes in practice and transfer them to the school. Subsequently, in order to motivate them, a special booth at the school is located, in which there are gifts to be awarded to students according to a defined mechanism. 	Promotion of “Source separation of waste” among the primary school students. Mashhad Waste Management Organization is a Mashhad municipality affiliate with an independent legal personality based on business principles aimed at implementing waste management programs in the city such as planning, organizing, maintaining and operating operations related to reducing production, collection, storage, separation, transportation, recycling, processing and disposal of ordinary wastes, including urban, construction and development waste.